Ephrata Cloister was founded in 1732 by a group of pietistic German settlers led by Conrad Beissel. The group divided itself into three orders consisting of celibate Brothers and Sisters and a married order of Householders (farmers and craftsmen) who supported the congregation. 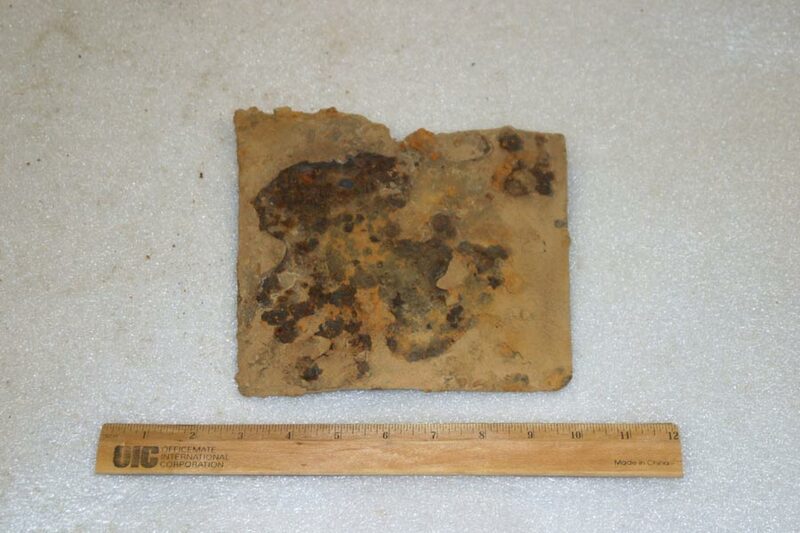 Pennsylvania Historic and Museum Commission archaeologists uncovered artifacts during excavation thought to be products of the Revolutionary War encampment which occurred at the site according to records. The artifacts were delivered to B.R. Howard for conservation. 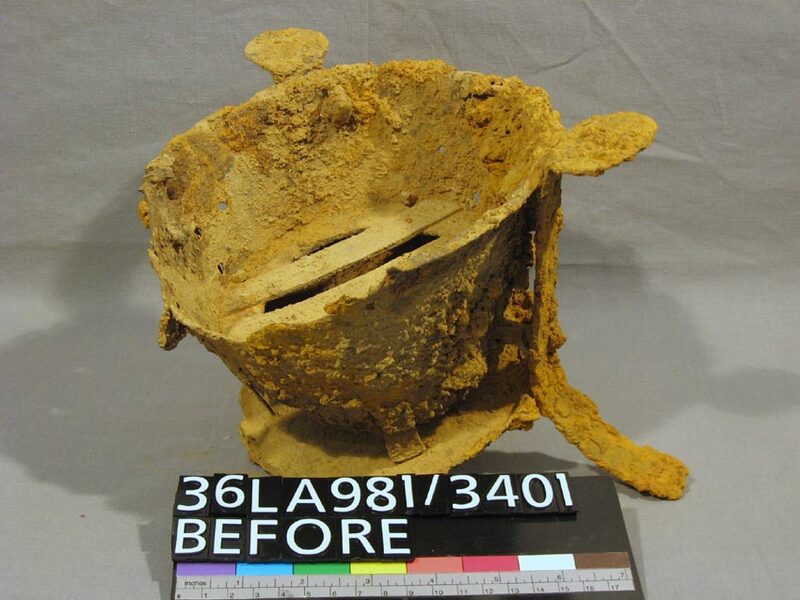 The artifacts were examined and x-rayed to determine the degree of deterioration and extent of remaining iron before immersing the artifacts in deionized water. Then, they were monitored until chloride levels had been sufficiently reduced. Soil accretions were reduced using hardwood sticks and dental tools under magnification. Corroded surfaces were then electrolytically reduced using a rheostatically controlled DC power source. The objects were consolidated and their surfaces protected using a reversible acrylic resin. 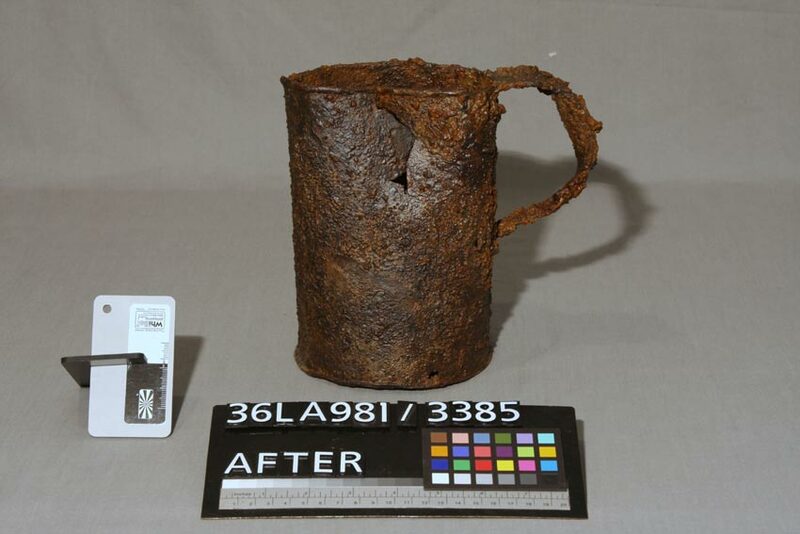 Fractures and splits in the tankard and brazier were reinforced and small strips of Japanese tissue to span fractures which were toned to blend with adjacent surfaces. A mount was designed to support the brazier which was missing one of its legs.